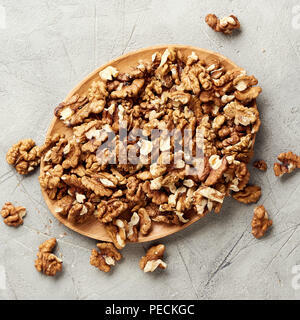 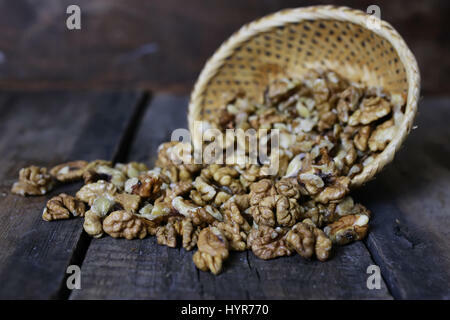 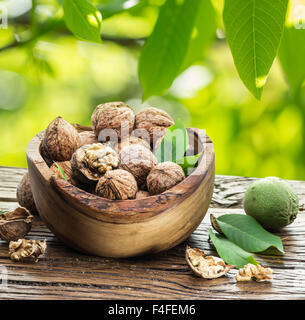 Walnuts in the wooden bowl on the table under the walnut tree. 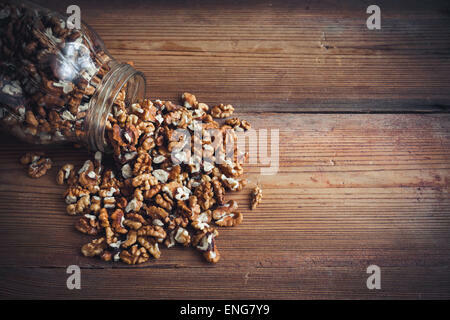 Walnut kernels on gray background and nutcracker. 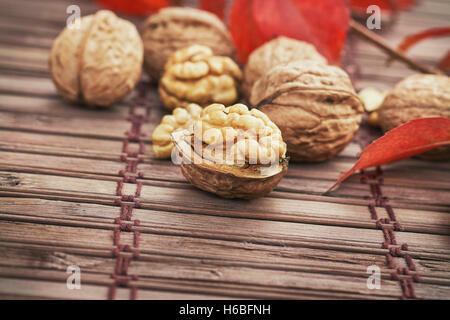 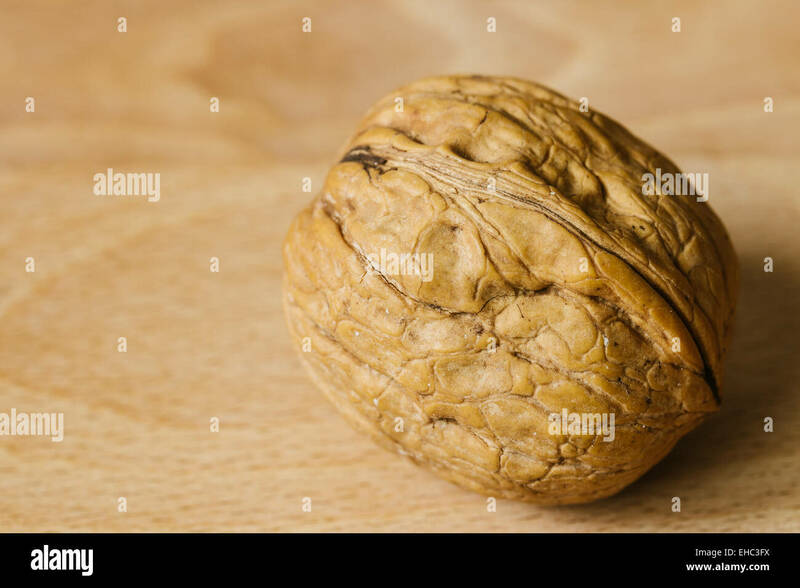 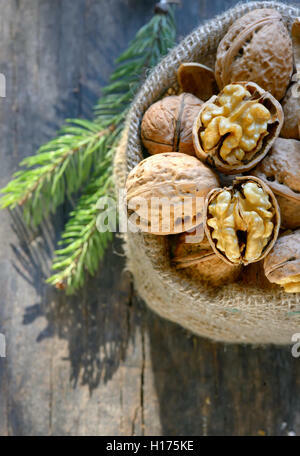 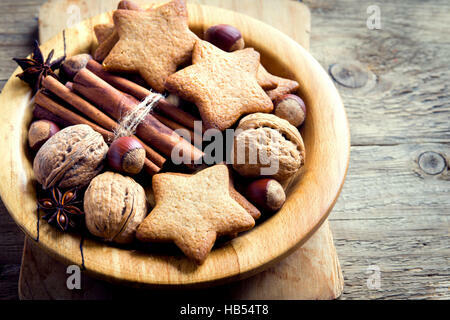 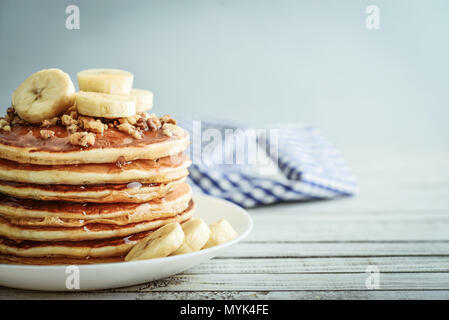 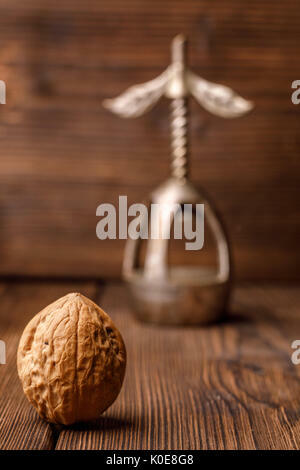 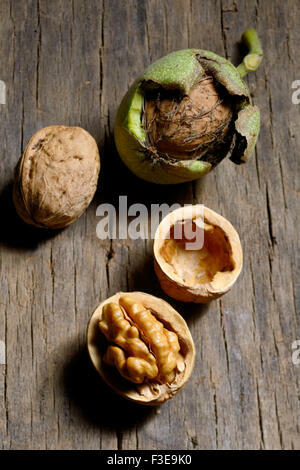 A walnut in a shell on a wooden background together with an old nutcracker. 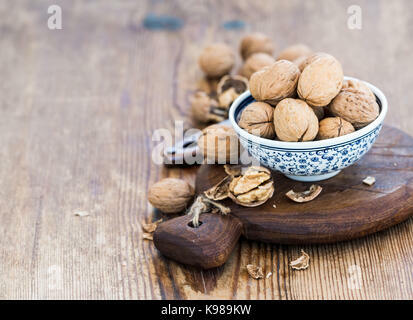 Walnut and beautiful vintage nutcracker. 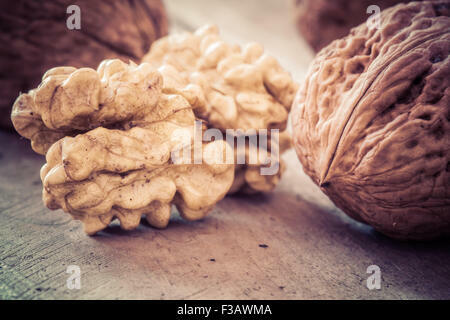 Monochrome photo.